The bungalow consists of a combined living, dining and sleeping area and a separate bathroom with shower and toilet. In front of the bungalow you can use the large terrace and the garden. 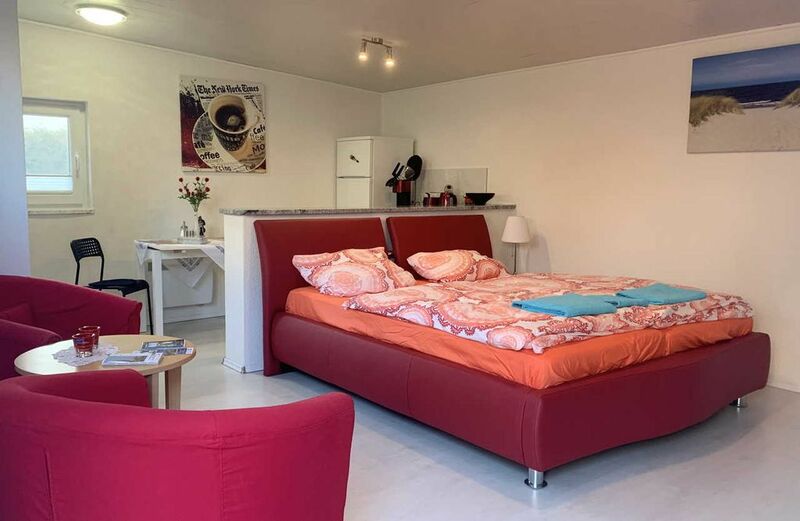 The bungalow in Graal-Müritz is only 600 meters from the sandy beach of the Baltic Sea. And up to the rhododendron there are also only a few meters walk. Restaurants and cafes can be found in the neighborhood, and the center of Graal-Müritz is also just around the corner. The bungalow with terrace and garden is equipped with a well-equipped kitchenette, a large and modern bed and a sitting area. The bathroom has a shower and toilet and the garden is equipped with deckchairs, table and chairs. Bed linen, towels and a parking space are included in the rental price.